We've been meaning to tell you for ages about this little restaurant that opened a few years ago in a piazzetta amongst the skyscrapers of Porta Nuova. 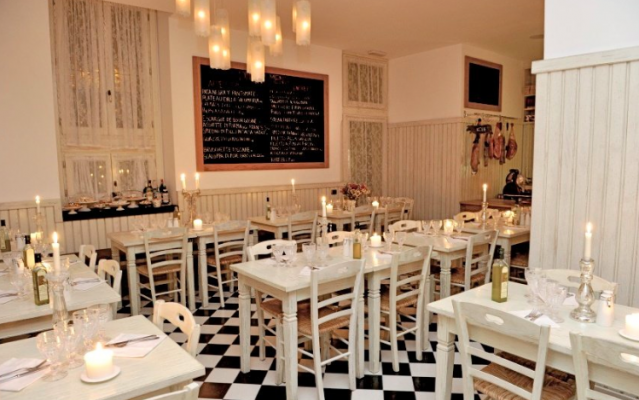 The name itself evokes a wonderful Parisian bistrot, as do the black and white chequered floor tiles, white window fittings, whitewashed tables and dressers and the vintage style tableware and fittings. 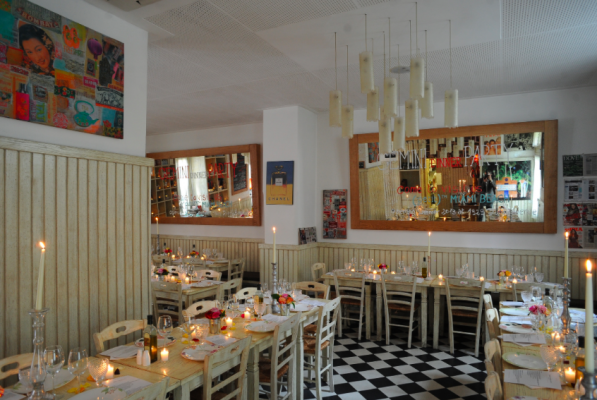 While the low lighting and candles give the bistrot a romantic atmosphere in the evening. 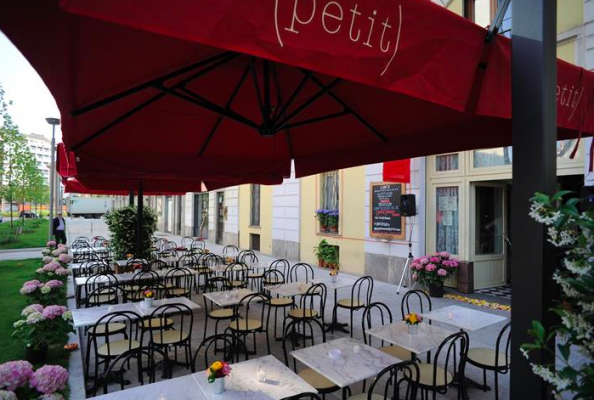 During the warmer months, the Petit Bistro's pièce de résistance is its outdoor space decorated with giant sun umbrellas, metal tables and chairs and carefully tended planters. The street is closed off to traffic making the Petit Bistro a relaxing and delightful place to lunch or dine. The menu offers both meat and fish dishes using ingredients from various Italian regions with fusion flavours, such as Teryiaki Salmon cooked in banana leaf with bean sprouts or Chicken kebabs with Satay sauce. 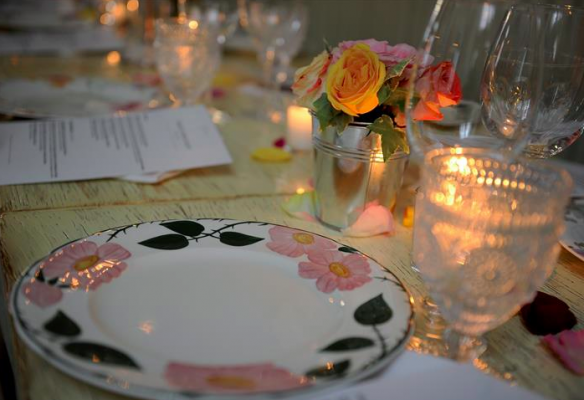 Petit Bistrot is in vogue at the moment so we recommend that you book in advance especially if you want to eat outside! 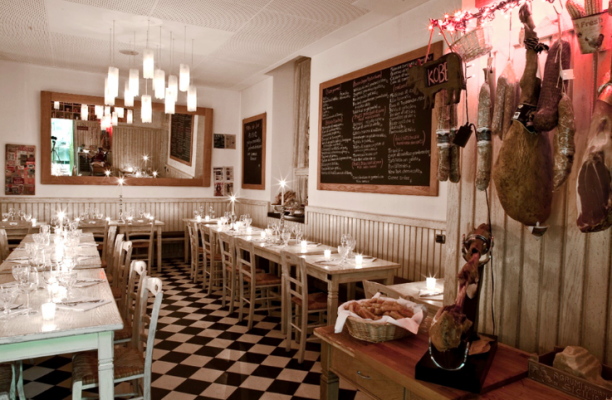 Oh, if you're passing through Miami make sure you go and visit the Petit Bistro restaurant there.